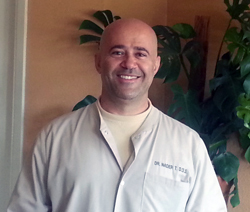 Dr. Nader is a graduate of University of Pacific, San Francisco, California where he received his D.D.S. Degree in dentistry in 1993. Prior to that he received his B.S./B.A. degree in Biology and Chemistry from Cal State Northridge, in Los Angeles California. He is proud to be a local Willow Glenn High School Graduate, in San Jose as well. Dr. Nader has been in private practice for over 15 Years full time, with two locations, one in San Jose and another in Gilroy California. 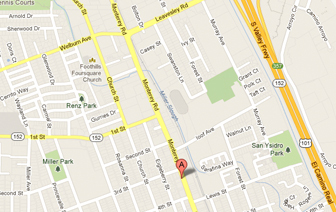 Serving the Entire South Bay. 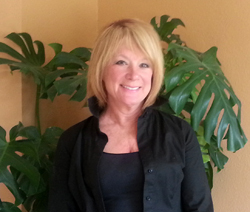 Harvard trained Board Certified specialist with over 20 years orthodontic experience. Orthodontic treatment can improve your health, change your facial appearance for the better, and it can boost your self-esteem. 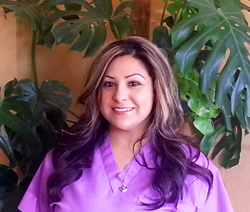 I am a registered dental assistant I have 13 years of experience. I am bilingual. Have been working with doctor Nader for 10 years. I love to make my patients smile. I am office manager of City Dental Center. I have been working with doctor Nader for about 7 years. I love my job and help my patients to understand how their dental insurances work., I also do treatment plans and take my time to explain my patients in detail their dental treatments and co-pays. I am happy when my patients leave the office happy with a big smile.